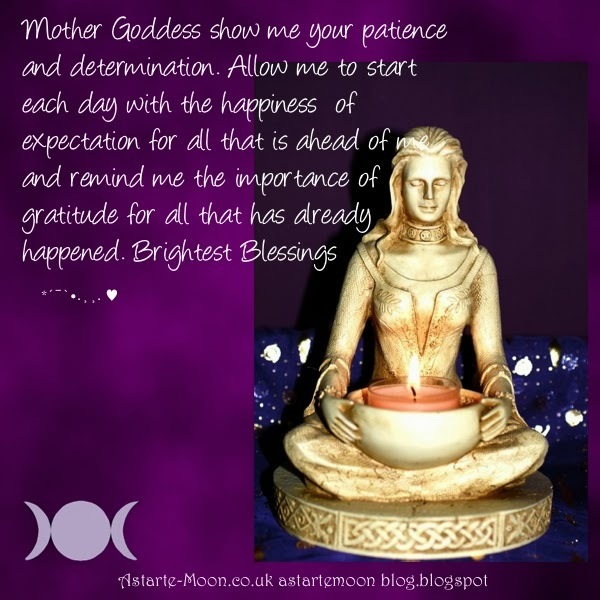 Mother Goddess show me your patience and determination. Allow me to start each day with the happiness of expectation for all that is ahead of me and remind me of the importance of Gratitude for all that has already happened. Please feel free to print out this free inspirational e-card and stick it up somewhere you will see it everyday. Thank you Alison. I will print this out. ;-) May you be blessed. Share and spread the magick!